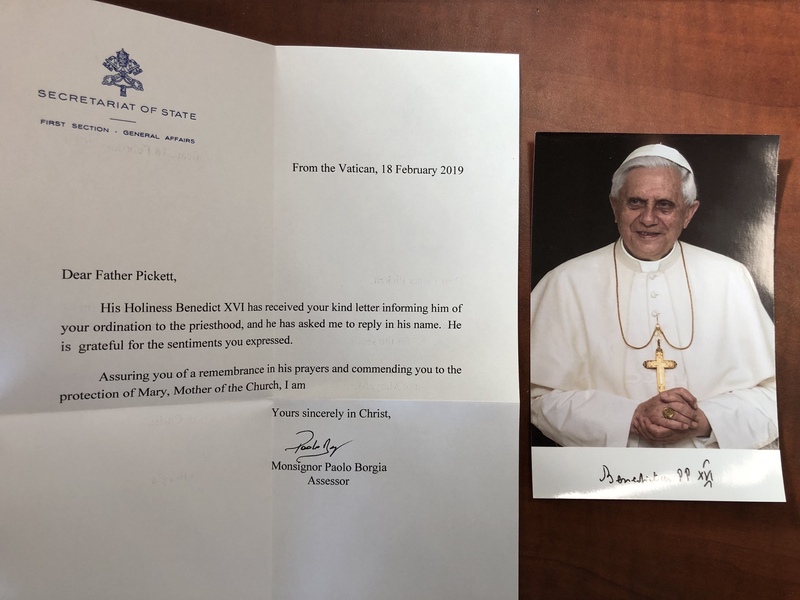 Vatican Secretariat of State writes official letter referring to Pope Benedict XVI Ratzinger as “His Holiness Benedict XVI”. I’ve confirmed this two ways. It isn’t an internet photoshop hoax. The post-date gave me pause, but it is double confirmed real. Papal style. Papal name. And not an emeritus in sight. But remember, folks, there is absolutely, positively no evidence of anything whatsoever, and if you don’t swallow this Bergoglian antipapacy like a good little Legion of Christ/Regnum Christi mindless drone, you are a mentally ill schismatic. This entry was posted in Uncategorized on March 5, ARSH 2019 by Ann Barnhardt.